Product prices and availability are accurate as of 2019-04-18 19:38:39 UTC and are subject to change. Any price and availability information displayed on http://www.amazon.com/ at the time of purchase will apply to the purchase of this product. The new industry standard in operational economy, electrical performance, environmental friendliness and value. Globally Certified (EISA 2007, CEC 2005/32/EC, CEC, Class B EMI & RoHS v2 Compliant) FCC Registered & UL Listed With World-Wide Input Range Of 100-240V Designed to be a safe, reliable, fully compatible power solution for your NordicTrack **6V MODELS ONLY** fitness equipment. 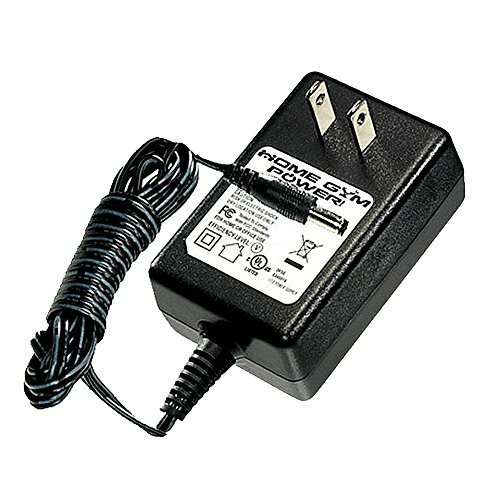 Home Gym Power® is the registered trademark of Home Gym Power Solutions, a family business owned/operated in the USA!